If you’ve ever wondered how to separate your new dies attached with “bridges”, then take a minute to watch Christina Griffiths video below. Many die manufacturing companies join their dies with little metallic pieces that keep them all together. This allows them to give you lots of dies that can easily be separated and stops them from clinking together in the packaging. Some dies are so tiny that they fall through the “cracks” in the packaging if they aren’t bound with a “bridge”. But don’t worry, it’s really easy to separate them if you wanted to use them individually. 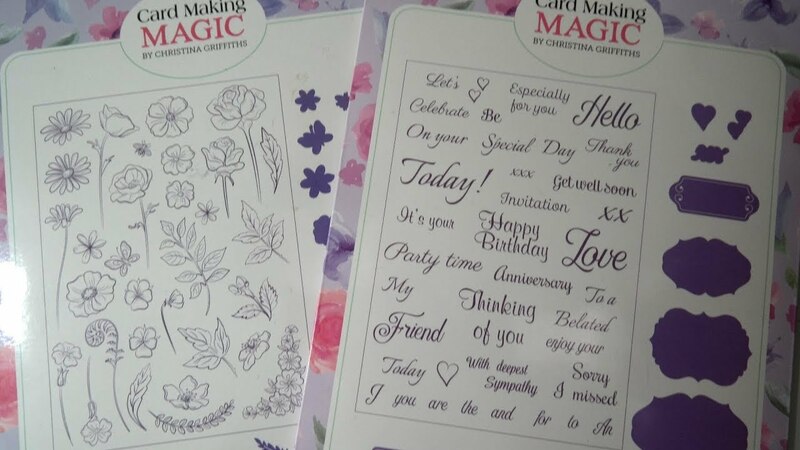 With this 31 stamps and 18 dies set from Card Making Magic by Christina Griffiths you’ll be able to create an array of Spring and summer inspired bouquets, with a choice of different types of flowers, leaves, ferns, a butterfly and a bee to add those extra touches. Now this die has a few “bridges” to snip, but they’re easily cut with pliers or some super sharp, heavy duty scissors.